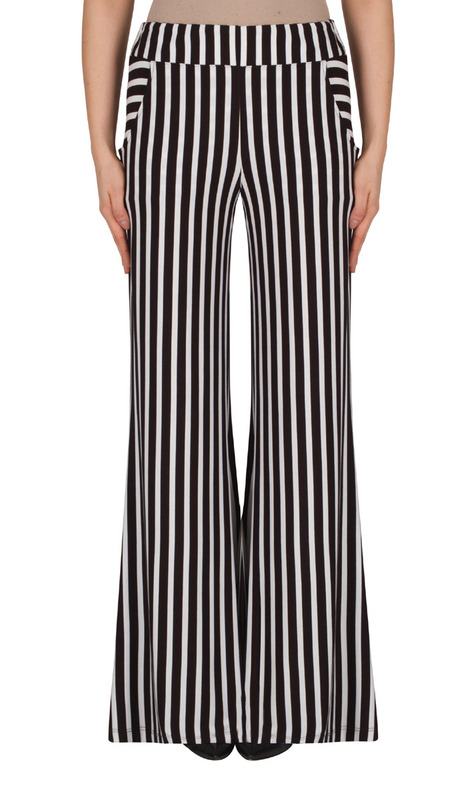 The Joseph Ribkoff Striped Palazzo Pant are beautifully flowing pants in a wide stripe pattern. Two inch waistband. Pull on style. Side pockets with horizontal stripe adds interest. Hand wash. Made in Canada.